Charming, quaint, accessible, and perfect for a day trip destination…that is a great way to describe all of the local towns we are featuring in our Top Five Favorite Local Towns series. If you are newer to this blog, first we want to welcome you—thanks for popping in! Second, you’ll find that we cover the spectrum on all sorts of things to do and see here in the amazing lower Hudson Valley. We’ve been talking about our favorites—favorite attractions, favorite local towns and in a little bit we’ll move on to our favorite restaurants. But, for today, we are zeroing in on Cold Spring, NY in our top local towns list and you’ll want to keep reading to find out more on this charming place. Cold Spring, NY is located just a touch over a half hour from our bed and breakfast in Salisbury Mills. It is a village in the town of Philipstown and serves as a getaway spot for many New York residents and out of town folks who simply want to take a break from the hustle and bustle of city life. It’s right across from the highly respected and popular West Point Military Academy and sits at the deepest point of the Hudson River. The West Point Foundry, an ironworks that was in operation from 1817 to 1911 was the reason behind the construction of many buildings in Cold Spring as the workers needed to be accommodated somewhere. A lot of these 19th century buildings have been wonderfully preserved and Cold Spring is now on the National Register of Historic Places. 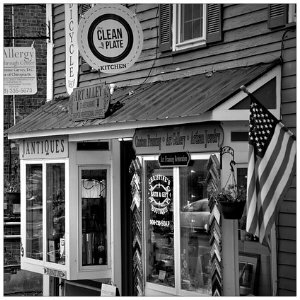 As you might imagine when you close your eyes to picture the cornerstone Main Street in a small town, Cold Spring is no exception. It has a downtown that is brimming with unique stores and boutiques, antique shops, restaurants, and coffee houses. You can catch some great live music, wonder at the beautiful Colonial and Victorian architecture, take a trolley ride (in the warmer months) or just sit on a bench and relax with a view of the Hudson River. It is a great place for our guests to spend a morning, afternoon or whole day! If you go, we’d love to know your favorite things about this wonderful town so please comment below. Happy traveling and we hope to be able to host you soon for a memorable Hudson Valley vacation.